Currently 12 years sober this month, Jared has had lots of struggles. His final night drinking stopped him dead in his tracks, forcing him to make a change to better his life. Deciding to become an entrepreneur, Jared went completely and totally broke three times chasing that dream. His BMW was repo’d and he literally lost everything – three times. He remembers his last drive in the BMW. He was on the way to hand over the keys to the dealer. He had reached rock bottom. Despite his ego having taken the worst hit to date, he never considered giving up for good. One night at a party, he was chatting with someone for several hours about marketing. Everything from national campaigns to local, digital to print and everything in between. Then he asked, so who do you work for? Jared said he sold flooring… he was shocked that he wasn’t in marketing. He had never considered the possibility of making a career out of it. Inspired, Jared really found out how good he was when he bought a marketing course for $1000. It has fantastic reviews – and learned absolutely nothing. In fact, he felt like the info was actually a step behind.. and proved it with a split test campaign (his stuff vs mine). That gave him the confidence to really go for it. Jared is founder of 123GetFound.com, which helps business owners grow and scale with results-based marketing solutions. 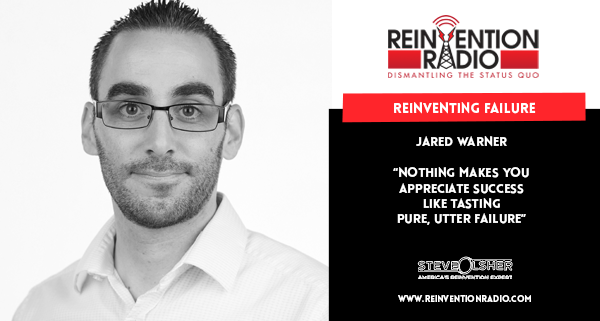 TUNE IN to hear Jared chat with Steve, Mary and Richard about his journey from having it all at 28 years old to having a net worth of $3 and how the taste of success is so much sweeter after tasting failure. How Jared reached the level of contentment. He wears his failures as a badge of honor. His journey from having it all at 28 years old to having a net worth of $3. He was the leader for mobile opt-in before its time. He now works with small companies to aid with their marketing. Can I afford it is a bad mindset. What to do with a great opportunity? Marketing tools have him fired up about today. Reinventing Disaster Recovery – In this episode, Sandra Millers Younger discusses with Mary and Richard disasters and the key to coming back from disaster.